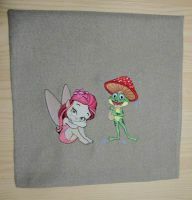 Where can you embroider your little friend? Of course we'll take him on the road: clothes, bags, backpacks, diaries, covers for electronic books, you can arrange your friend on a car cover, on a pillow in a baby carriage, etc. 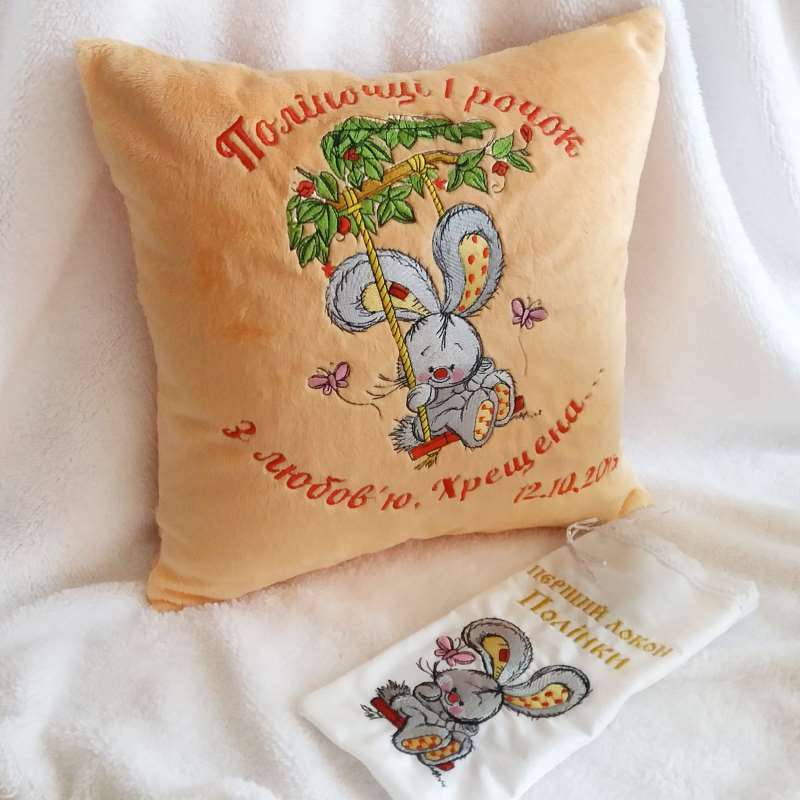 Of course, you can embroider a design on your home clothes, for example, on your pajamas and then your friend will not leave you in a dream. 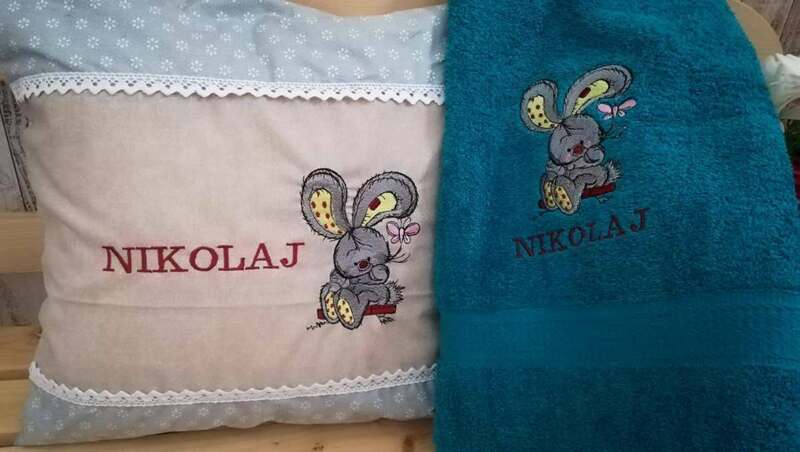 Design in 6 different sizes, between some sizes is not a very big difference, but next to when lying two embroideries it is clearly visible. If the clothes or household items are large, then I advise the design a little more, it will look more harmonious, and for miniature things, choose a smaller animal. The design is multi-layer, but digitized as light as possible. I did not embroider my knitwear or stretch fabric, I think you can try not to sew on a very thin knitwear in a sandwich technique, it's better to have it on the probe first. Bunny embroidery design in minimum size is compatible with any embroidery machine. It has a size under the hoop 4 x 4. 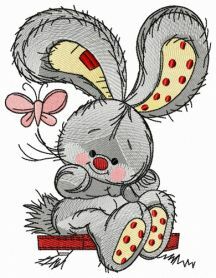 Love all of these bunnies! All stitch out beautifully! So cute and sews out beautifully...thanks! Stitch out great Thank you. Gorgeous.Just the design I needed and it stitched out beautifully! 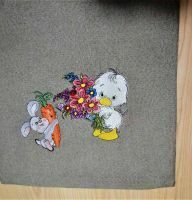 Perfect embroidery design and digitizing. Super Sweet !!! Love it !! Pleasure doing business with!! Smooth transaction! Stitched out well. Thank you Stitched out nicely, just what my customer was looking for! 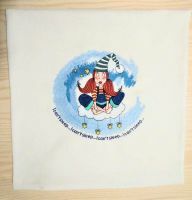 Adorable design that is great for the baby blanket for my sister's son . Stitched out perfect! Very cute! Exactly as pictured! This was embroidered as a gift for my daughter-in-law and she really liked it! I would definitely buy from this shop again! Thank You!